If you know what your opponent had in their hand, you would win more and lose less. If you pay close attention, other players may actually tell you what they have in their hand. Tells are anything a player does or doesn't do that clues you into what they are holding. When you master tells it's like you are wearing a pair of x-ray goggles at the table and it's hard to lose. 10 Ultimate Tell Are Reliable but be careful because there are exceptions to the rule as there is with every card game or poker strategy. Before you sit down at the table - look around. There are a number of things you can pick up about the personality of a player before any cards are dealt. 1# Tell - The method of stacking chips tells the personality of the player. A messy stack indicates a loose player and a neat stack indicates a tight player. Your opponents who put their chips in neat little stacks are usually conservative players. They are not looking to bluff a lot. So you do not expect them to be wild gamblers and you shouldn't call them expecting them to have weak hands. Conversely, if a player doesn't care very much how their chips appear, that's probably a loose player who is willing to gamble. 2# Tell - If a player makes a messy bet, they may make the time to clean it up, they are usually bluffing. If the player is bluffing, they don't want to do anything to trigger your calling reflex. The assumption is that everyone comes into the game wanting to call. This player, if he is bluffing, thinks that his bet not being neat may trigger your suspicions. So if he straightens his chips into a neat stack it's usually a bluff and he is trying to cover up for it to make it look less suspicious and less inviting. That's a bluff. 3# Tell - How a player busy chips is a sure sign of how they will play. When a player makes a big show of buying chips that's a true indication of how they might play. They are probably going to play very aggressively and loose with their bets. But if a player comes out with his wallets, almost hiding his cash, hardly wanting to show his money, that's usually a conservative player. 4# Tell - Most tells are visual hints, but keep your ears open because you can save yourself some money if you hear what experts call a ''poker clack''. It's one word which sounds like ''tut''. But what does it mean? It's a sad sound. When you hear it in a poker game, it's usually an act. It means that the player actually made a hand. So listen very carefully when players look at their cards coming on the flop on the very last card. Whenever you hear that that means they made their hand. They are trying to seem sad but they are really happy. 5# Tell - When the flop comes, ignore your instincts and don't look at it. If you are watching the flop, you are making one of the biggest mistakes in holdem - don't watch the flop, watch your opponents watch the flop. That flop will still be there later and if you are watching it now, you'll be missing some of the most profitable tells in the game. Something as simple as where the players look after a flop can reveal the strength of their hand. Players who look away from the flop have strong hands. While players that stare at the flop or look at heir cards have a weak hand. Here comes the flop, they look at it, and immediately look away. That means they like that flop. This happens quite frequently. 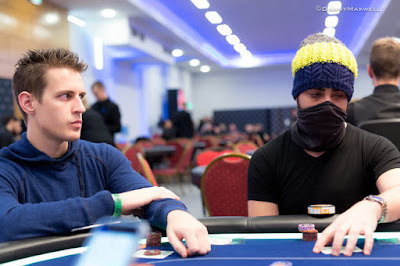 The player wants to see what the flop is and as soon as he recognises that he likes it he wants to seem uninterested. So what does he do? He looks away. When you see that, you know that player has made something. 6# Tell - If a player glances at his chips after a card is revealed, he probably has a big hand. That glance at the chips clues you in that they are thinking about betting. Why else would they do it? When you see this, that means that the player likes the flop. 7# Tell - If the player looks are all the cards after the flop they are probably looking for suited cards. Players usually remember the ranks of the cards but not necessarily the suits. When they have to double check it's usually to see if they have one of that suit. So watch out for your opponents possible flush. In fact, double checking your cards can be like giving money away so one of the best things you can do is memorise your cards. You should never look back at your cards because it can give clues to your opponents. Remember them, look once, then put a chip on top of them, protect them, and never look again. Practice doing that because that will save you money. 8# Tell - A shoulder shrug or sigh (any indication of sadness) usually means that player has strong cards. They are simply acting to get you to call. Never call that bet! That's a strong hand. Their sadness is meant to deceive you. 9# Tell - Be careful as many people misread tell number 9. You see someone acting more nervous than normal and you may think they are nervous about bluff, the opposite is true. Nervous betting usually accompanies a strong hand. A player is nervous so that player must be bluffing? Wrong! That player is never bluffing. If that player is nervous with the bet they bolster themselves and look rigid. Nervousness is not about a bluff it is a release of tension if it comes on suddenly. If a player, previously, was steady and begins to shake, that's a release of tension, they are thinking now that pot is mine. It's a natural reaction and never a bluff. 10# Tell - A lot of the time you don't really know if your opponent is bluffing or not. Although there is a secret way to find out. Put them to the test. As your player begins to bet simply reach for your tips. If he has a good hand he will hurry up because he doesn't want you to change your mind. But an opponent who is bluffing will hesitate and perhaps check their cards as you have startled them. They will pause before he bets. So, try to prevent that bet by reaching towards your chips. If your opponent responds, by rushing his bet in, he likes the fact that you might call and doesn't want you to change your mind. But if he hesitates, you've unnerved him and he is likely to be bluffing. If you spot one of these many tells, you have gained a huge advantage over your opponent. Exploit that advantage. Never let them know because they will change their behaviour. Congratulations you are on the road to be a master poker player. How much does a casino know about its players? All modern casinos require their players to use ‘Player Cards’ which is a system designed to get a hold on them. This tells them who is playing their machines, what machine they are playing, how much money they are wagering and how much time are they spending on each of their machines. In the slightly older times, casinos had to employ a really intricate system of surveillance cameras, personal and other tracking devices to keep an eye on their players. This came with a lot of tediousness. Not only did they have to alert throughout, they also had to be smart & vigilant enough to track some of the more carefully planned errors. Over time, casinos starting pushing the player cards in the garb of loyalty programs. Players were encouraged to buy such cards so that they could avoid buying coins, paper money or tickets. This was originally inspired by the credit card and airline card systems where rewards (food, rooms, gifts, cash, free play etc.) exist but every kind of behaviour is also recorded. The membership is always free and each player is issued a card when he or she signs up at the players’ club booth. The machines too were modified later to include card readers so that every member inserts the card to initiate a game. Casinos, at the end of all this, are able to get a definite sense of their customers by using complex programs that sort through data. All of this is then broken into demographic detail, an analysis of behaviour of sorts, which allows them to modify or introduce new offers. The player analysis also helps casino draw generics and target players accordingly. For example, retired men and women under 30 have similar proclivities when it comes to gambling. This information is especially gold for casinos who can devise and innovate for these needs. When this cloud of data is enquired, an animated sense of behaviour is realized. The data analysis tells them how to approach a gambler individually and also where they fit collectively. Where they’re at that evening, what they are likely to do next and the whole profitability factor. Casinos, to put in simple terms, are not particularly interested in a player’s win/loss record but the design of their game-play and how they can be targeted. Free Slot Play: Every casino offers free slot play reward when a player signs up newly. This allows players to try out a few slots and get their heads around how things work in a casino. These rewards are usually loaded into the card by default. Complimentary Gifts: Casinos offer gifts in many ways to encourage loyalty on the player’s part. These gifts are often interesting and useful that tends to showcase the personality of the place. There’s usually a team dedicated to these aspects of casino that put in good thought. Free drinks to gas cards, the gifts range according to individual tastes. Travel: Many casinos offer travelling as a complimentary gift that usually includes visiting a sister casino. The lowest tier players too are offered in many cases where a short trip, usually a bus ride away, is offered along with the stay. One thing is for sure. 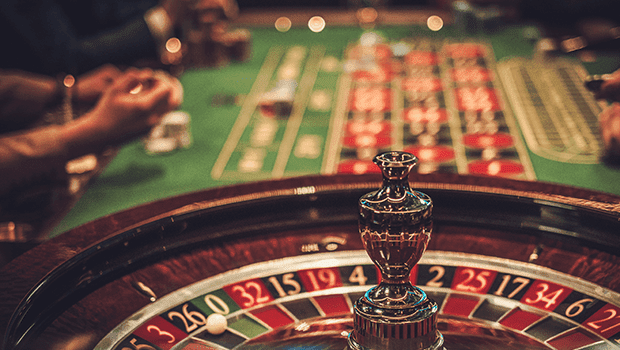 If you’re a frequent visitor and enjoy a bit of gambling every now & then, it is imperative to keep a track of your gambling winnings and losses. This helps you to deduct losses because the government mandates to provide tickets, statements, receipts or any other form of proof that acts as acknowledgement. Gambling winnings are certainly taxed like regular income. Every time you cash in a slightly large amount in chips, you are asked to show your ID and fill out a tax form. The government however allows you to deduct your losses from the winnings but not more than the winnings. It is therefore highly important to have clear idea of where the losses have occurred and to ensure a proof of sorts resides with us. Let’s say you get lucky and win really big. To reduce your taxes, you would want to reduce your losses from the gambling winnings. If there is no document around that supports your claim of having lost so much, there’s no way the government is going to believe it. This is where the player’s card comes in very handy. Every casino that gives out this card will require you to swipe or use it all the time. Casinos are then able to track your performance and maintain a record of wins and losses. Thereby, when the taxing time is around, the casino can give a detailed account of losses. Online casinos are a great invention considering the number of options they come with. They have huge variety of games, provide great deals on those games and to top it all, these casinos are for everyone. There are no added expenses and one can enter at any time and stay for as long as they wish. A perfect win-win situation by all means. Land Casinos on the other hand require one to not only be presentable but also aware of how the system functions. They come with a lot of baggage which frankly can be overwhelming to many. Also, they are very noisy. Due to such factors, there has been a huge shift to online casinos in the recent times. Critics, however, have claimed in the past that online casinos aren’t the real deal. They might offer great variety and fun but do not fetch the same dividends as land casinos. Every person who walks into a land casino has a great chance of winning big. And each turn he takes at pulling a lever or rolling the dice, he holds a chance of winning money. Online sites on the other hand mostly offered credits, free spins and various other options but these did not get translated into real money always. The winnings too depended on the type of game that was played – a game like roulette might fetch rewards but the opportunity to convert a small amount into something big & considerable always seemed missing. Gambling purists, for this very reason, tended towards land casinos because of the opportunities they provide. Because at the end of the day, the real rush of gambling comes from winning and winning big. This remains a fact of the past and things have certainly come a long way. Online casinos, gauging the change in the general mindset, decided to crank things up a notch so that they not only offer a real casino experience but also users to take away money. Real money slots are the best example of why internet gambling is a booming industry. There’s entertainment like always but also these slot machine offer the same high that one gets in a real casino. While the misconception still persists that winning real money online happens once a blue moon, some of those who have explored this concept will claim otherwise. Online games are a matter of chance. Being reckless and sticking to one kind is always a bad sign. Unlicensed casino with outdated or pirated software. There’s no credibility to such entities and one should safely stay far away. 1. Picking the right casino: First and foremost task is to pick a legitimate casino that operates within all the guidelines and is licensed. Not only are they credible but also have a streamlined system that makes things simpler for all players and provides a fair chance to win. 2. Picking the right bank: Another important step to oversee is the banking aspect. A player has to be careful in choosing the right bank and transaction method. This takes a bit of research to pick a reliable and convenient option but to put things in place before even starting is a good way to go ahead. 3. Online Casino Game: The next step would be to focus on one particular game. Every online casino offers dozens of games which have their own set of rules, odds and strategies. This can be overwhelming and can make a novice player a bit stressed but the key is to remain focused on the prime interest area. There’s poker, there’s roulette and there’s slots. With such diverse options, it isn’t a difficult stage to get past. 4. Learning the game: Once a game has been chosen, it is important to spend time and learn how it functions. There will be mistakes made but that’s the best way forward. Another important factor here is to have fun. 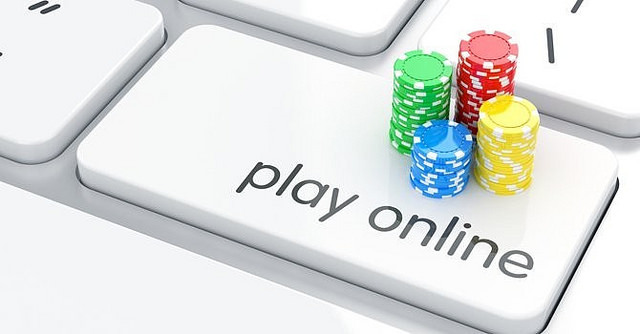 The whole idea behind online gambling is to channel an inner capability and explore it with fun. So let’s not get bogged down and be carried away! “What is life if not a gamble?” said Wilson Mizner. Gambling, either online or off-line, comes with elements of skill, risk and fortune and this act of uncertainty can be quite exhilarating. While the ‘brick and mortar’ or the conventional casinos offer services mostly for the rich and provided, they also come off quite unfair to a street-smart player who is as skilled but cannot afford the glamour. Hence, the evolution of internet gambling took place which not only offered better odds and deals than the land-based ones but also separated vanity from the skill. It is perhaps safe to say that the shift to internet and mobile gambling has been monumental; both in regards to scope and diversity. There are far more people exploring online games and other peripherals than before. Let’s take slot machines for example. About 80% of the users head for the slots when they visit a land casino for the first time. There was a time when the land casinos treated slot machine players as second class citizens. The rewards were very small and the players weren’t given any of the complimentary bonuses such as free rooms, shows or meals. But with time, things changed as the casinos spotted the real value of these machines. A typical user would spot a machine that appears simple to operate and feel a bit more secure in a place that is quite overwhelming otherwise. Table games have an intimidating factor where having to interact with fellow players and dealers can be particularly daunting. Slots avoid all of that and mean straight business. On top of that, they also offer the most lifestyle altering jackpots. Not a bad deal, after all. Slots came into the picture in the late 1890s in the city of Brooklyn and were based on poker. Players would put in a nickel, pull a lever (hence the name ‘one-armed bandit’) and see the drums inside spin. Almost every bar in the city then possessed a slot machine and offered free beer instead of real money. 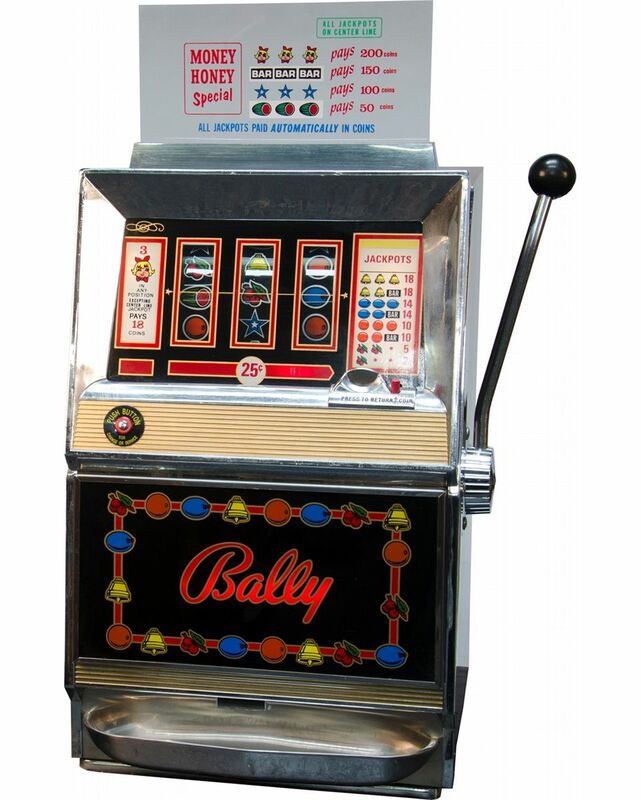 This was made into reality only decades later when a machine named ‘Money Honey’, the first electromechanical slot machine was designed. The machine could payout up to 500 coins automatically and did not need any manual intervention either. This set-up a new trend and soon a slot machine with video display was brought in. There are many forms of slot-machines but the objective is common and pretty simple – win money from the machine. The game, usually, involves matching of symbols. Either on the mechanical reels that spin and stop to show the symbols or a video screen that does the same job but in the background. An online casino employs the same concept but has its own to get things done. These gambling sites use the concept of RNG or Random Number Generator which, essentially, is a set of algorithms that are spread across countless online casinos. The software is effective in terms of making sure that every a user clicks on the ‘spin’ or ‘bet max’ button, a random and new number is generated. Firstly, no online slot machine has memory. No history is considered when you play such games because there’s no log of how much you’ve won or lost in the previous spin. There’s always a good chance of winning big twice in a row or losing continuously. 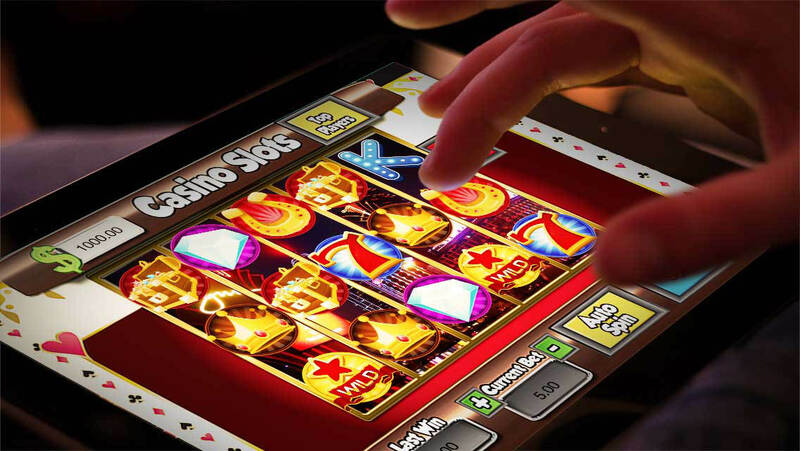 The important part of this logic is that the results of these online slot spins are not pre-coded and therefore do not fall into a definite pattern. The only thing that matters here is the second at which the mouse click is encountered and the RNG then determines what symbols appear on the screen. 1. 3-reel: This is the simplest of all slot games and is the best option for a newcomer. There is a basic logic to the game however and it involves the RNG. Every time a user clicks spin, the RNG stops randomly on three symbols that land across the single line. 2. Bonus Slot: These are usually games within games and offered, as the name suggests, as bonus game rounds. Many of the seasoned players base their choices on whether a bonus slot game is a part or not. These games have vivid graphics and are often interactive to engage users more. 3. Video Slot: The video slot games have at least five reels. The 5-reel slot game operates just like its 3-reel counterpart but offers many different pay lines. A user is usually given an array of payline options and also gets bonus rounds, free spins, multipliers etc in addition. So, in a nutshell, there are tons of online slot that operate similarly but offers different experiences. It is up to the user to go about choosing a particular kind and getting better at it. A slot machine came into the picture in the 1890s in Brooklyn and since then, there have been a ton of innovations to this machine. They were first seen in bars where free beer, candy bars and gums were given away in the form of winning. This further led to owners of the machine handing out money personally because the machines weren’t equipped enough to dispense money. In the 1960s, almost six decades, the small innovations led to an electromechanical slot machine that did not any human intervention. A player would put in a nickel, pull the lever and if he’s lucky, money would roll out clinking. Video screens were added, the backend processors became faster and soon a self-reliant machine came about. Similarly, online casinos too developed a system. In this system, however, nothing fits into a pattern. Everything was randomly decided and there is no log maintained to back-track a player’s performance. See pictured. 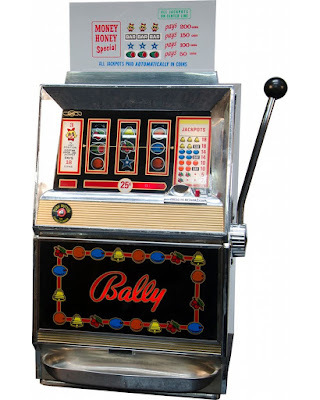 Take a look at this Bally ''Honey Money'' Slot Machine for sale online. One could win big multiples in a row or lose sorely throughout the day; there’s no telling to how it works. The reason is pretty simple. All the online casinos use a set of algorithms that employ the Random Number Generator (RNG) concept. The only thing that matters here is the second at which the mouse click is encountered and the RNG then determines what symbols appear on the screen. No deposit bonuses: These are practically free money. Many sites offer an entry bonus to lure a new user and this is in the form of money. This helps a player to play online slots for free and also understand how the game works. The Loose Slot: The term loose slot came about when mechanical slot machines back in the day had some mechanical fault that would make the slots a bit ‘loose’. These were exploited to dispense more money. In today’s world of online gambling, there’s still some truth to this concept. A lot of online slots pay out quite frequently. Keeping a close eye on the one that does so helps in increasing the chances of winning. Local and Network Jackpots: A local jackpot is created by a specific casino and the money is generated by only those players that are participating in the slot game. In other words, it’s a local game and no one outside is involved. A network jackpot pools money from multiple online casinos and therefore offers a mega jackpot. It is important to remember that not all online slots are created equally and therefore, it would be recommended to go for a local jackpot. Let’s get to the thick of it. If a slot machine is properly designed with true Random Number Generators, they are theoretically unbeatable. Like mentioned above, there is no pattern to the system and it is impossible to guess which number might work the charm. There have been cases in the past though, where people have managed to bypass into the system and “tweak” it in their favours. Some of these cases are of pure theft; a slot machine’s hardware is messed with or the casino insider lends a hand to manipulate and get away. In other cases, luck comes in handy. Someone finds a glitch in the system and takes away more than they deserve. Always claim the bonuses that casinos give. These are not the free spins but the bonus money a casino gives you upon entering. It allows you to try the strategy with real money and yet save it if you lose. Hitting a losing spree is good in a scenario like this. When this occurs, increase the bet but remember to not go over-board. Do not try to increase it by 10 times; take small steps and double it. Every casino works on a factor called Return to Player or RTP. It is the amount of money a casino is supposed to return to the players. By players, we do not mean individuals but the public in general. The RTP number determines how much profit a casino is going to make. This is indeed the driving figure for every casino and no casino would wish to function without it. 4. While choosing a game, always go for one with high RTP. Most game producers do not provide the RTP publicly and it can be a bit of a struggle in getting these numbers out. A little research will, however, be very helpful. To summarize, beating an online casino game is of sheer effort. There are so many things that go into devising a game and thereby, many precautions are taken. It takes a lot of time in research to be effective. 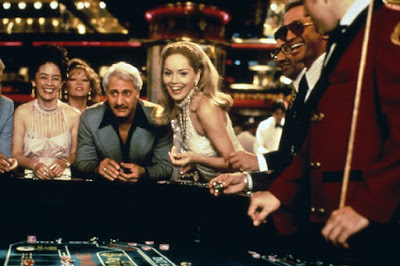 The games you play at the casino whether roulette, blackjack, three-card poker, craps or dice have one thing in common. Their odds are unquestionably fixed. Someone may tell you they have a system to win but long term you are guaranteed to lose. So what's the difference with horse racing? Surely, it's the same. The bookies have priced the odds and they don't add up to 100%. They take their cut. Doesn't that mean they are guaranteed to win? You may lose if you bet on every horse in the race but even then you may get lucky. Take for example the betting odds of Mon Mome who won the Grand National at 100/1. The difference with horse racing to betting at the casino is that horses odds are not fixed. The endeavour of picking a winner is skill based. If you know more than most you can win betting at the races. Your strength is that you don't have to bet on every horse. That option to pick and choose can be your angle to win. I have always specialised with two-year-old horse racing. It pays to have a niche. Be domain specific rather than domain-general as they say in psychology. You don't take a pair of shoes which need to be re-heeled to the blacksmiths...although I'd quite like to see a pair of funky boots with full-metal soles. I have never met any gambler who has the grand national as their specialised subject. However, there are plenty of well-respected websites like Grand National 2019 who detail the runners and riders plus all-important Grand National betting odds. One of forty horses will win this year's Grand National. A sporting spectacle watched by millions of race fan across the world. Even a roulette wheel doesn't have so many numbers to choose. Whether your selection is based on skill, pure luck or the roll of a die, there will be winners and losers. Names such as Red Rum, Foinavon and Lottery all had their day if not days. When it's time to bet it's time to show your skill. Who will win this year's Grand National? Gambling and Horoscope are Co-dependent—Myth or Truth! !